Last week I blathered on about some running book that I didn’t think was very good and then I noticed that there was another book that I think is pretty great and for some reason I haven’t written here about it yet, so time to solve that mishap. 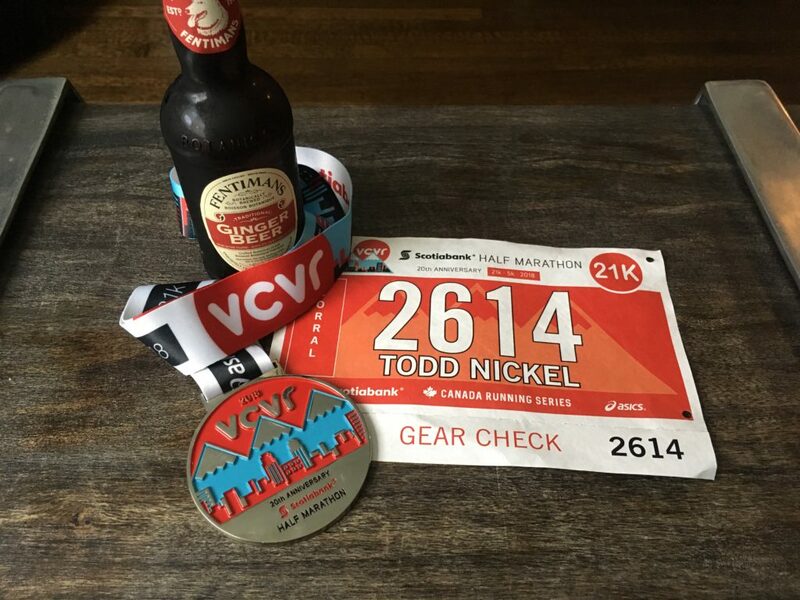 Hutchinson is an athlete and journalist and has a PhD in physics and is a regular contributor to Outside, and has written for Runner’s World, The New Yorker, the Globe and Mail, and elsewhere. Malcolm Gladwell thinks “This book is AMAZING!” which is nice, I guess, if you like Gladwell. The first thing I read about Gladwell and running, he made some asinine statement that running with music is “soft.” I don’t run with music, but that doesn’t make me “hard.” Also given that women are twice as likely to run with headphones* as men, Gladwell’s statement comes off a tad misogynistic. Anyway, enough about Gladwell, because while I do not agree on headphones (and some other stuff) we at least agree on Hutchinson’s book. There is a ton of information in this book and I’ve started trying a few in training and races, with good results. I’ve revisited bits of this book numerous times. I believe it’s a must-have in any athletics books library. 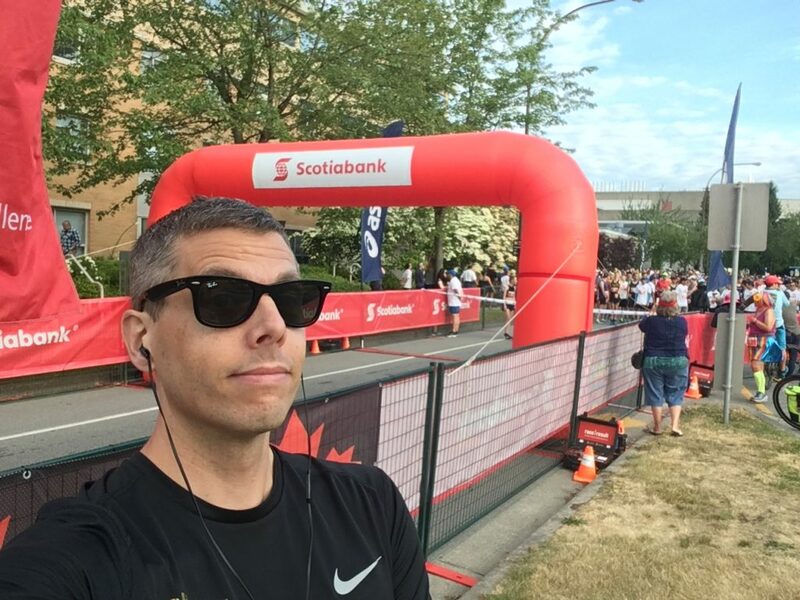 Today was the Scotiabank Vancouver Half Marathon. I’ve run it twice before and both were disappointments. 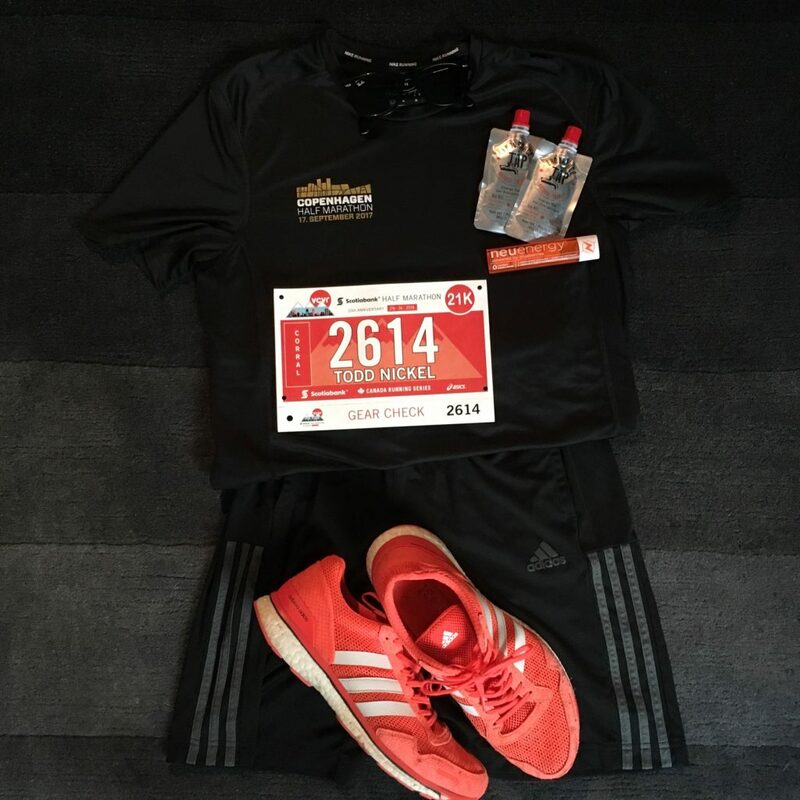 Last year I was coming off my first full marathon, healthy and in excellent condition and wanted to break 1:40. It was a sweltering day and I finished 1:40:26. My first crack at the Scotiabank course was 2016. 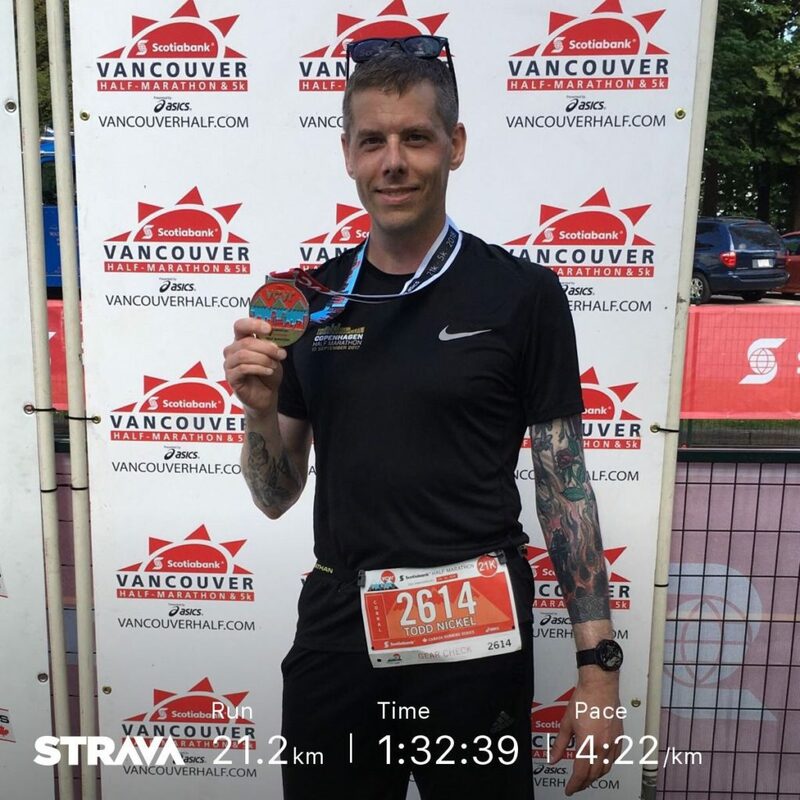 I had just run my first ever half marathon — the BMO Vancouver — and finished 1:46 flat. I was sure I could break 1:45 but was disappointed with a 1:46:31 result. Not only was I drinking way to much then, I was also smoking semi-casually (or -regularly, depending on your point of view…). A cigarette or two on race day served dual purpose, calming pre-race nerves, and, well, nicotine is well known for its laxative qualities. First Scotia Half would also be my last tar-loading. Smoke free and sober, I really wanted to beat myself. “Soft” at the starting line. *Sure it’s not a scientifically rigorous poll, but neither is arbitrarily equating earbuds with escapism.